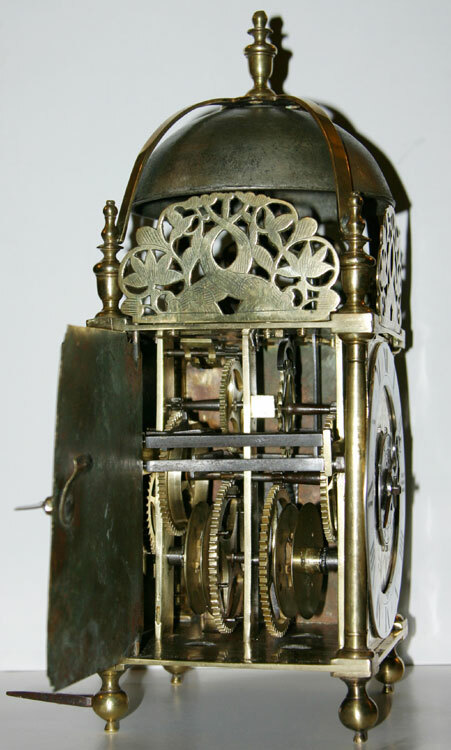 A very fine, mid-seventeenth century, London-made lantern clock. 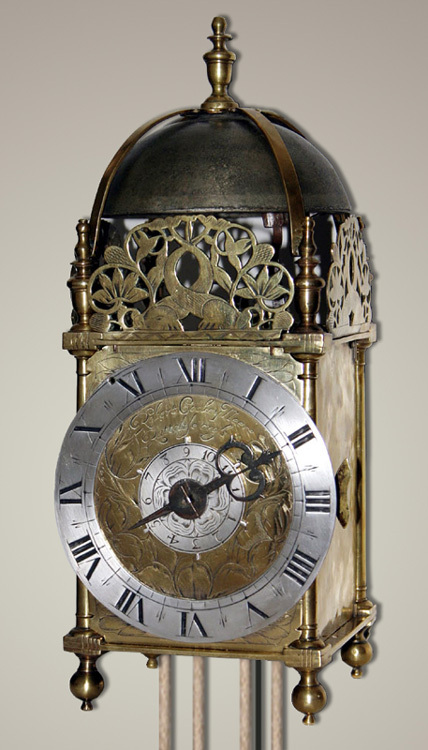 The strapped bell over urn finials and three cast pierced frets engraved with crossed dolphins and floral motif, supported on tapering Doric columns to ball feet. 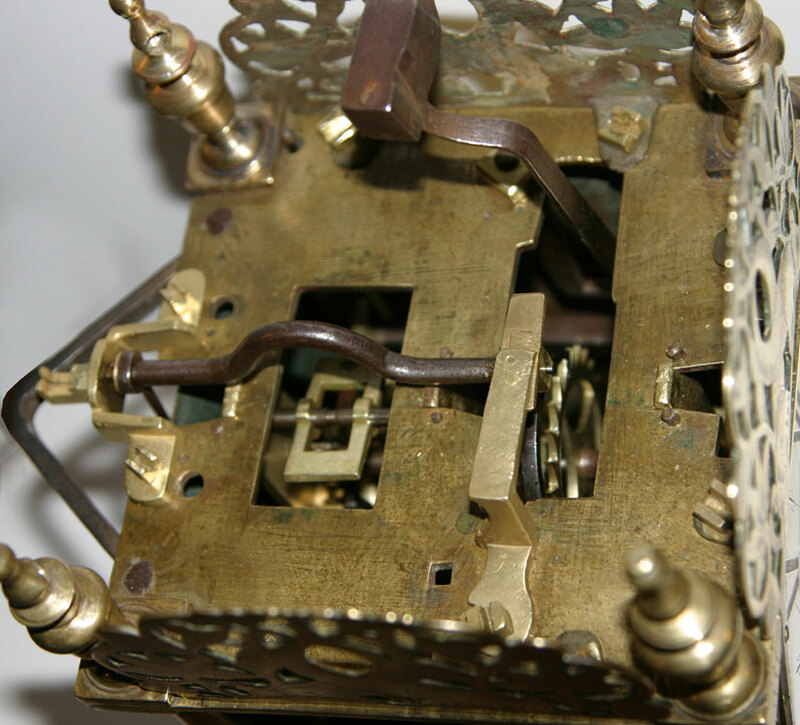 The narrow, silvered chapter ring, typical of late second period style, with Roman numerals, inner quarter hour track with half hour markers enclosing the centre with silvered Arabic alarm setting dial with tudor rose engraving. The dial plate with very early tulip engraving and carrying the maker's signature 'Robert Cosbey neere Rattclife Crofs'. Single pierced hand. 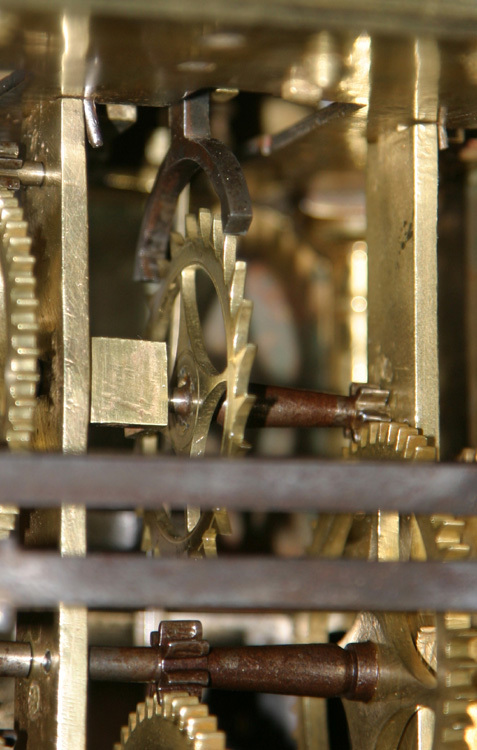 The two train, weight-driven movement with countwheel strike, early anchor escapement and two separate winding ropes. 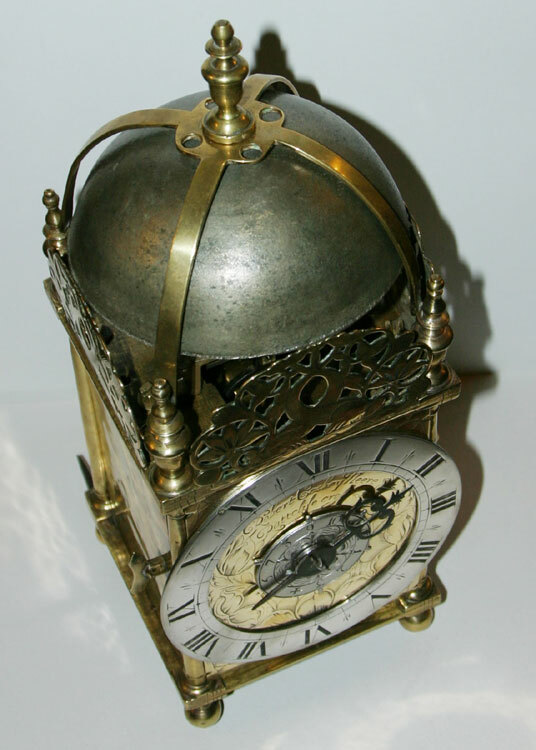 The clock having 5 1/2" square frame, 6" diameter chapter ring of 7/8" width and engraved 6 1/4" high dial plate. Standing 15" high to top of bell finial. 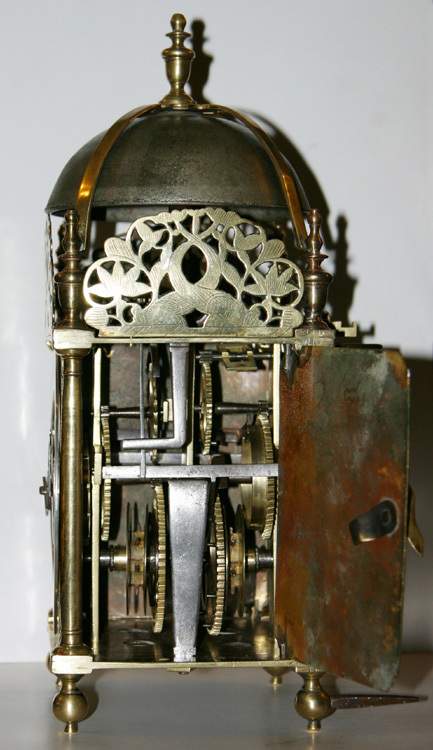 Robert Cosbey was apprenticed to the very eminent lantern maker Peter Closon from 1646 and was freed in 1653 and is a recorded clockmaker until his death in around 1685.